Back in the alternate 1985, Marty and Doc have found the timeline has changed. 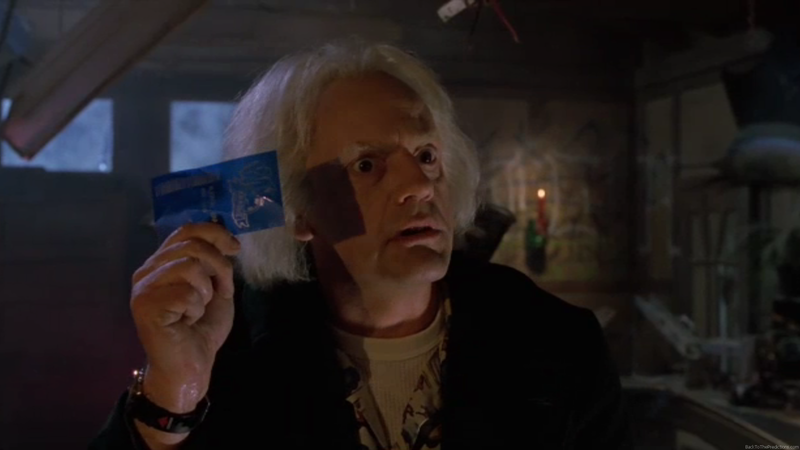 One of the clues that tells them how it happened was the receipt from Blast from the Past that Doc found inside the DeLorean. 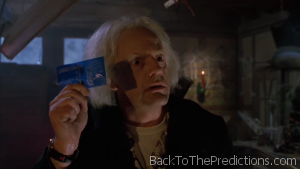 The receipt is a translucent blue plastic with silver printing. In our 2015, you won’t find anything like this given as a receipt. In fact, a lot of places are now asking if you want a receipt printed or e-mailed. Plastic is less biodegradable and more expensive than paper, so it’s highly unlikely that we’d ever start using plastic receipts.